Morgan K. O’Brien is president and chief executive officer of Peoples Natural Gas Company LLC and Peoples TWP, utilities serving approximately 700,000 customers in southwestern Pennsylvania, West Virginia and Kentucky. In that capacity, he is responsible for the company’s strategic, operational and financial performance. Prior to joining Peoples Natural Gas in February 2010, O’Brien served as President and CEO of Duquesne Light Holdings from September 2001 to January 2010. At Duquesne Light, O’Brien refocused the company as a solidly performing electricity utility and community partner. He aggressively reviewed and restructured the utility’s key operating business, which resulted in major cost reductions and customer satisfaction improvement. Under his leadership, the utility invested $500 million in the region’s electrical infrastructure to replace aging equipment and assure service reliability. He also launched a series of economic development and community outreach programs. O’Brien joined Duquesne Light in 1991, holding several senior executive positions before becoming CEO. Prior to his tenure at Duquesne, he served in various management positions at PNC Bank and major accounting firms. Since joining Peoples Natural Gas, O’Brien has reestablished the 125 year old company in western Pennsylvania. He has brought nearly 300 new jobs back to the region and created a Customer Service Center in Pittsburgh. In addition, he has orchestrated the largest infrastructure improvement and modernization project in the company’s history. More than $100 million has been invested to ensure the continued safe and reliable delivery of natural gas to Peoples Natural Gas customers. In May 2011, Peoples TWP, formerly T.W. Phillips Gas and Oil Co, was purchased by SteelRiver Infrastructure Fund and became a sister company to Peoples Natural Gas. Morgan was named CEO for Peoples TWP as well. And most recently, in December 2013, Peoples acquired Equitable Gas. With this acquisition, Peoples is now the largest natural gas distribution company in Pennsylvania and serves customers in West Virginia and Kentucky for the first time. O’Brien has positioned Peoples as a true community partner. The company sponsors many organizations and events that drive economic development and improve the region. Under his leadership, Peoples’ core values of Safety, Customer Commitment, Trust and Community have become part of the company’s corporate culture. This culture is consistently on display as Peoples’ employees volunteer their time and resources for charitable causes throughout the year. A Pittsburgh native, O’Brien earned a bachelor’s degree in Business Administration and master’s degree in Taxation from Robert Morris University. 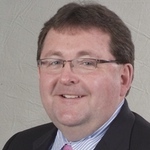 O’Brien is active in civic organizations throughout the region, including the Board of Trustees of his alma mater and of the University of Pittsburgh. He also serves on many boards, some which include, the Pennsylvania Energy Association, The Pittsburgh Opera, and the Leukemia & Lymphoma Society – Western PA Chapter. Morgan was elected as the Chairman of the Board for the United Way of Allegheny County in 2012 and as the Chair of the Allegheny Conference on Community Development in 2013. O’Brien and his wife, Kathy, have four children and live in downtown Pittsburgh.